Create .htaccess Password for wp-login Page for Your Rackspace Cloud Server or Any Equivalent Server to Protect From Brute Force Attacks. This is among a series of articles to increase the security of unmanaged Rackspace Cloud Server instances. One can start reading from How To Install WordPress on Ubuntu 13.10 on Rackspace Cloud Server for a complete guide to create an unmanaged WordPress Instance. Apache is more Stable, Secure and Robust web-server software. At least for WordPress, on unmanaged server, it is quite risky to run ngnix. The combination of this security is only for LAMP Server. At least, this measure can decrease the brute force attacks, getting indexed by Google bots etc. Further, we will increase the security of whole wp-admin folder, wp-config file to disallow Google bots to scrape data, decrease our risks of privacy and security matter in these PRISM days. As you are using an unmanaged server, 24 hours human security is not present. This Article Has Been Shared 2016 Times! 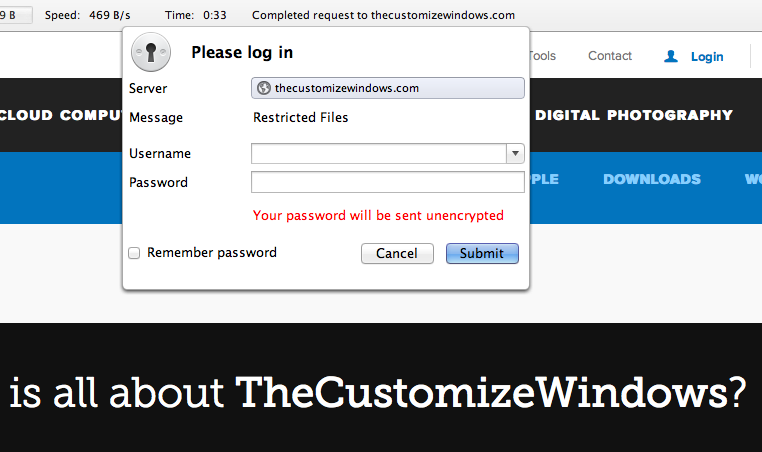 Cite this article as: Abhishek Ghosh, "Create .htaccess Password for wp-login Page," in The Customize Windows, April 4, 2014, April 23, 2019, https://thecustomizewindows.com/2014/04/create-htaccess-password-wp-login-page/.